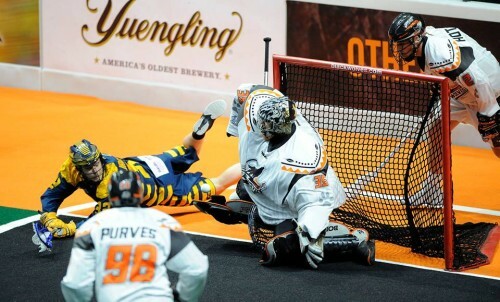 The New England Black Wolves will travel to Denver on Saturday to face the Colorado Mammoth in a match up of conference leading teams. New England (5-2) holds a one game lead on Buffalo in the east while Colorado (7-2) leads Saskatchewan by 1.5 games in the west. The Wolves have led the east from the get go this season, with the new look team finding immediate success in its second season playing out of Connecticut. The Mammoth as well have rolled since the beginning of the year, starting the season undefeated before losing to Saskatchewan. Last week New England continued its torrid start with a 16-15 win at home over the Georgia Swarm. Kevin Crowley scored the game winning tally with just four seconds remaining in the final quarter. Meanwhile, Colorado is coming off of a controversial 12-11 win against the Vancouver Stealth where Adam Jones scored six times in the fourth quarter, including the game winner with one second on the clock The result was in question after video showed Colorado goalie Alex Buque may have allowed an own-goal, but the game officials never caught it during the contest. Colorado’s Callum Crawford, one of the premier free agent signings from the off season, is second in the league in scoring with 55 points on the season. New England’s Shawn Evans, also a new player on the roster in 2016, is fourth in the league with 52 points. The Black Wolves acquired Evans in a trade with Calgary before the season. Jordan Hall has played two games in New England since being acquired from Rochester and he has 13 points in those two contests, nine of them being assists. Pat Saunders has 30 points in seven games, keeping up his pace after breaking out with 68 points last year. Crawford, who has a goal in each of his last six games, has led the way for the Mammoth this season while John Grant Jr has also added 46 points and Adam Jones has scored 45. The Mammoth’s 111 goals scored on the season lead all western conference teams. Meanwhile, New England’ 76 goals against are the fewest in the entire NLL. Despite Colorado giving up 100 goals, Mammoth goalie Dillon Ward has the best goals against average in the league at 10.47. 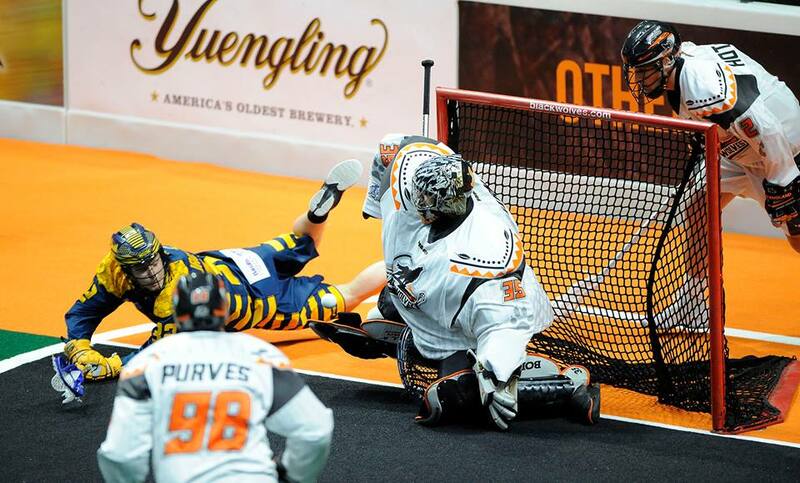 Fourth is Evan Kirk of the Black Wolves at 11.26, but his save percentage of .747 is tops in the league. Both teams have played well defensively despite having question marks going into the season. New England has the worst special teams in the league on both end, so the challenge for the Black Wolves will be keeping the game five-on-five. Andrew Suitor will make his season debut after tearing his ACL last season for the New England defense, while Brian Megill has suffered the same injury and will miss the remainder of the season. These teams last met on February 22nd of last year when Colorado defeated New England 14-12 led by a nine point night from Jones. This time, New England is a much better team, but the Mammoth are also looking to be one of the most dominant teams in the league. Game time is 9 p.m. eastern time.